Dr. Tao Zhang, an IEEE Fellow and Cisco Distinguished Engineer, joined Cisco in 2012 as the Chief Scientist for Smart Connected Vehicles, and has since also been leading initiatives to develop strategies, architectures, technology, and eco-systems for the Internet of Things (IoT) and Fog Computing. Prior or to joining Cisco, he was Chief Scientist and Director of Mobile and Vehicular Networking at Telcordia Technologies (formerly Bell Communications Research or Bellcore). For over 25 years, Tao has been in various technical and executive positions, directing research and product development in broadband, mobile, and vehicular networks and applications. His leadership and technical work have led to pioneering contributions that advanced the state of the art in fiber optic networks, all-IP cellular networks (3G/4G), mobile ad-hoc networks, and vehicular networks; and have resulted in disruptive technology, standards, and products. 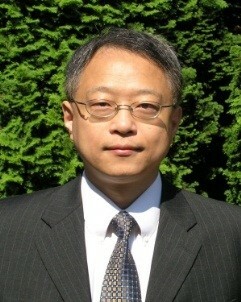 Tao was elected a Fellow of the IEEE in 2010 and a Fellow of the Society of Information Reuse and Integration in 2015. He holds 49 US patents and has co-authored two books “Vehicle Safety Communications: Protocols, Security, and Privacy” (2012) and “IP-Based Next Generation Wireless Networks” (2004) published by John Wiley & Sons. He is the Chair of the IEEE Communications Society Technical Sub-Committee on Vehicular Networks and Telematics Applications. He was a founding Board Director of the Connected Vehicle Trade Association (CVTA) and has been serving on the industry advisory boards for several research organizations. 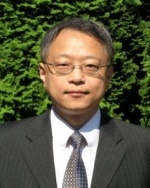 Tao has been serving on editorial boards or as a guest editor for numerous leading technical journals including the IEEE Internet of Things (IoT) Journal, the IEEE Transactions on Vehicular Technology (TVT), the IEEE Journal of Selected Areas in Communications (JSAC), and the Springer Journal of Wireless Networks.